Almost 10 years ago, when we decided to add Murano Glass to our business portfolio, we thought would be a good idea to see what exactly we would like to offer to our clients’ base, so we decided to visit Murano Island, Italy. When we landed at the Marco Polo International Airport, the scenes that awaited us were simply breathtaking. The beautiful weather and the city comfortably relaxing in soft sunlight was a sight to see. After the airport formalities we procured a guide for us and started our exploration of Venice. The canals forming a beautiful net work through the whole country was a wonder to us. As we travelled in the famous gondola we marveled at the magnificent scenes around us, the multi storied buildings of all sorts just rising from the water, which gently lapped on its sides and the innumerable bridges that we crossed every now and then were all out of this world. Each of these bridges was an architectural wonder. The arches and trellis works on the sides of these bridges were fabulous. Venice situates on an archipelago of 118 islands. 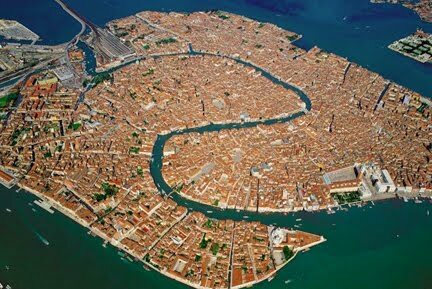 The aerial view of Venice actually was a surprise to us. We could discern many fanciful figures from it. An image of handshake was one of them, which was really welcoming to us as tourists. 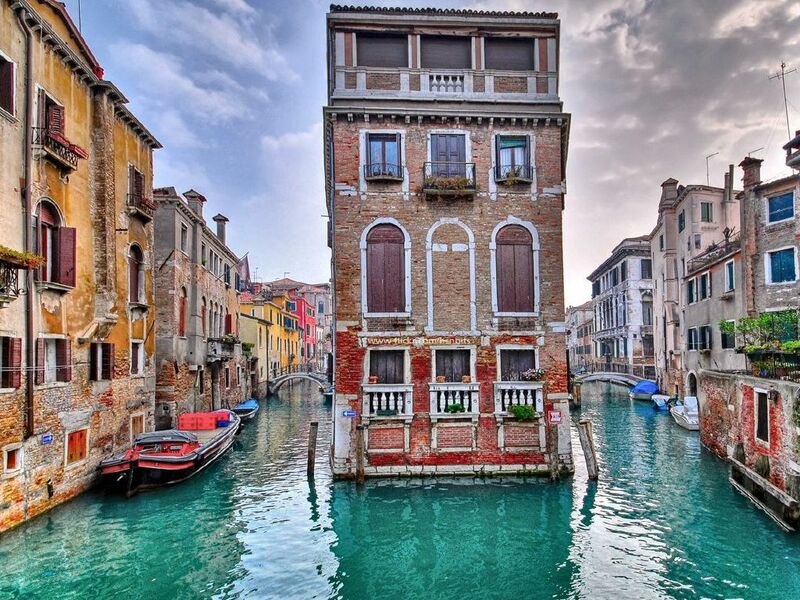 The information brochure says there are 177 canals in Venice connected by a whopping 409 bridges. So the main means of transport around Venice is water transport. The guide informed us that there are public transport systems operating to and fro different points. But if you want to feel the real spirit of Venice you should travel in the classical Venetian boats called Gondolas. Now these vessels are used only by tourists. These are often decorated with velvet and Persian carpets and very comfortable to travel in. As we floated leisurely along the lagoons, I was watching the wonderful artistic balconies and terraces of the buildings. Then I remembered reading somewhere that every building in Venice, both big and small, carries the marks of its ancient master craftsmen like Giorgione, Titian, Tintoretto, Veronese etc. We could see along the sides of this mace of lagoons the wonderful cultural body of Venice, perhaps accumulated through countless centuries. What we saw on the sides of these canals was definitely the result of miraculous human architectural acumen. Apart from the capital city of Venice, there are a number of islands, which are famous for their culture, profession, art etc. 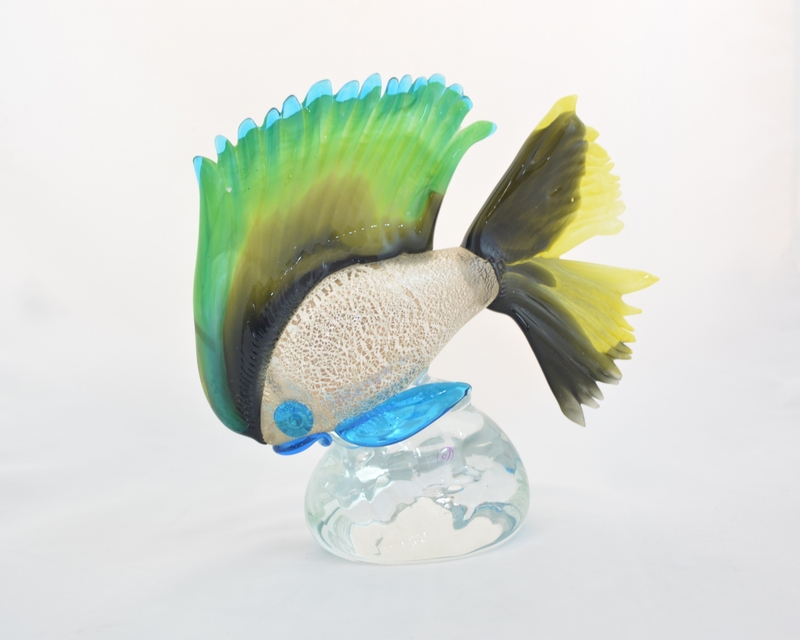 The most famous among them is the Island of Murano, which is famous for its art glass. The history says that these glass artisans were sent to this island for fear of fire accidents from their glass melting furnaces. 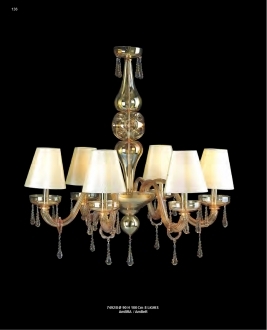 Now Murano stands for exquisite glass articles. These articles are favored all over the world for their unparalleled craftsmanship and incredible display of colors. The technique used by the traditional glass artists of Murano is still an enigma all over the world. Even if there are many countries trying to copy the art, the perfection of Murano glass still remains elusive. These artifacts that result from years of dedicated experiments with glass and colors are world’s most sought after collectibles. We left Venice with the memories of the Gothic art work and the fabulous Murano glass artifacts in our mind and decided that we would return for another holiday, another time, to explore more wonders of Venice.